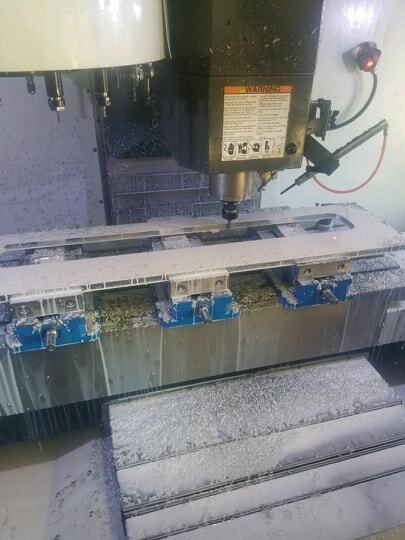 Revolutionary Machine & Design (RMD) is a family-owned CNC shop with capability to machine, manufacture, and assemble products. RMD is committed to quality and staying on the cutting edge of new technologies. With a job shop atmosphere, RMD has the ability to produce prototypes, one-off parts and large runs with competitive pricing and low lead times. RMD's expert staff can assist with your CNC machining, programming, and engineering design needs. Located in southern Wisconsin, RMD is committed to developing its technologies and adapting its operations to give its customers a competitive advantage in today's rapidly changing marketplace. Compass Automation has used Revolutionary as a manufacturer of precision machined components for several years. Compass’ business demands a high mix of low volume, high precision parts. Evan and his team have always delivered. Revolutionary is one of our “go-to” vendors for custom machining, and we highly recommend their services. You are a pleasure to work with. Thank you for the consistently fast turn around. You always seem to make me feel like I am one of your top 10 clients. Your knowledge of Mastercam and programming is one of the main reasons I keep using you on our projects, you make short work of any project we’ve given you so far. I am glad you were referred to our company. Revolutionary Machine and Design does great work. They are fast, reliable and willing to partner with their customers to make sure the job gets done right. The RM&D team has been amazing in helping get our product developed quickly and accurately. They have made suggestions to improve our product and have listened carefully to our requirements. Several times they were asked to create a part for us with a super quick timeline, they were willing to work nights and weekends to get this done for us. All work is done in their shop in Whitewater, WI by highly trained, skilled and dedicated employees. We couldn’t be happier with the results.